After breaking camp in Panamint Valley, Andrew, Sean, and I drove to Death Valley proper, over a pass through the Cottonwood Mountains of the Panamint Range. 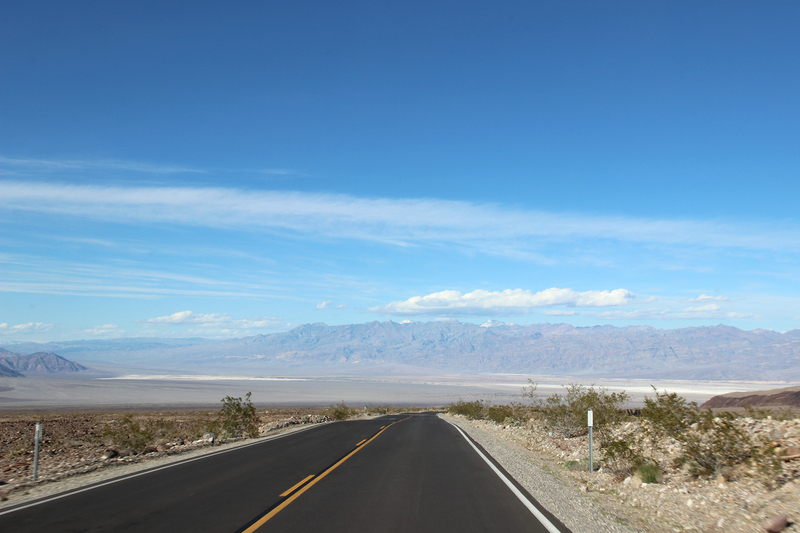 It was 3pm on February 25 by the time we reached Stovepipe Wells in the shadow of Tucki Mountain. We’d been in Death Valley National Park for twenty-four hours already, but had yet to check-in, as it were, and inquire about backcountry camping or register as visitors. We passed the campground, which, situated on the desert floor, sort of looked like an RV parking lot with tents. Seeing it, we were very glad to be camping in the backcountry. Already, the solitude it afforded had infected us and made us glad. This entry was posted in Journey and tagged California, Camping, Death Valley on November 17, 2017 by Brandon Hayes. 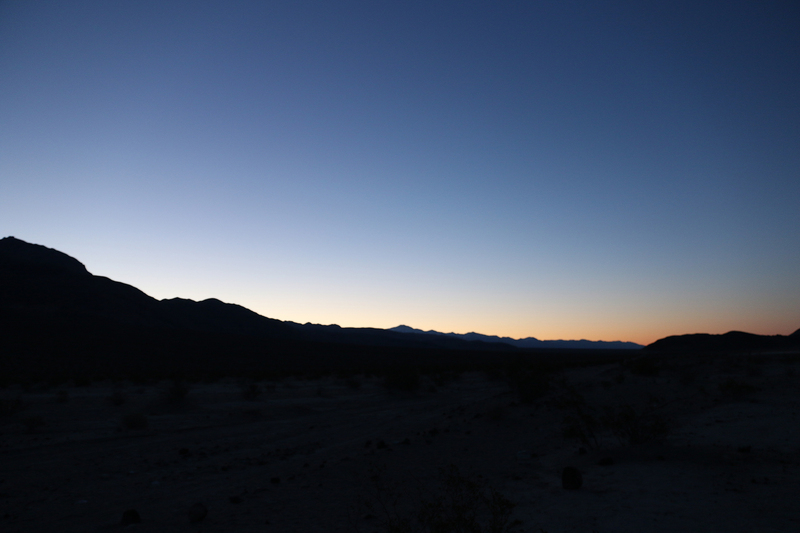 The desert was cold when I woke up and emerged from my tent into the pre-dawn glow at the edges of the Panamint Valley. It was just after 6am on Saturday, February 25, and the temperature must have been in the low forties at least. This entry was posted in Journey and tagged California, Camping, Day Hike, Death Valley on November 10, 2017 by Brandon Hayes. On Thursday, February 23, Sean and I began our Death Valley National Park adventure by boarding a flight from Chicago O’Hare to San Diego. It had been a long week for me, with a major meeting that I had literally staged ending some three hours before our flight, and getting away to the desert to clear my head was just profoundly inviting. This entry was posted in Journey and tagged California, Camping, Day Hike, Death Valley on November 3, 2017 by Brandon Hayes. 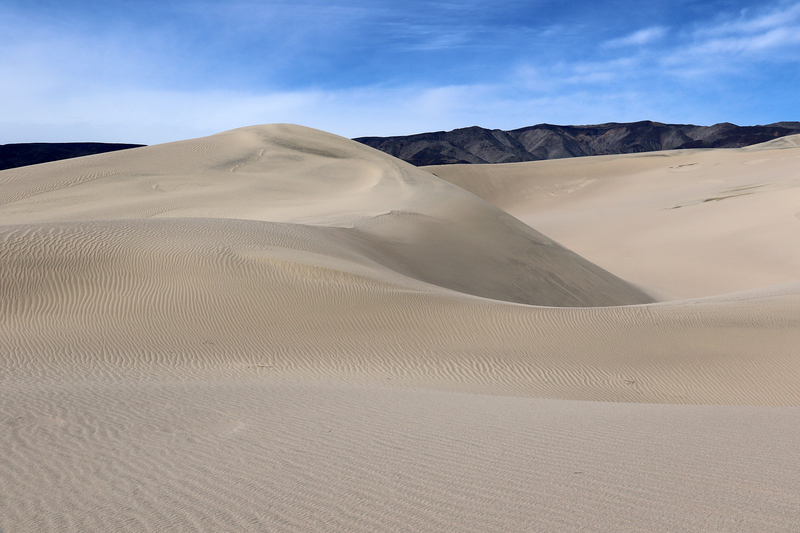 At almost 3.4 million acres, Death Valley National Park is the largest National Park outside of Alaska and the fifth largest National Park overall. It encompasses entire mountain ranges and arid valleys at the western edge of the Great Basin, where the Mojave Desert transitions into the higher, colder Great Basin Desert. The Great Basin, hemmed in on the west by the Sierra Nevada, on the east by the Wasatch Range of the Rocky Mountains, and on the south by the Colorado Plateau, is defined by the inability of any of its streams or rivers to reach the sea. They all flow from mountains or springs to valleys where they vanish, just as the Amargosa River flows south through Nevada, makes a wide, northerly turn, and ends in the salt flats of Badwater Basin in Death Valley, California. 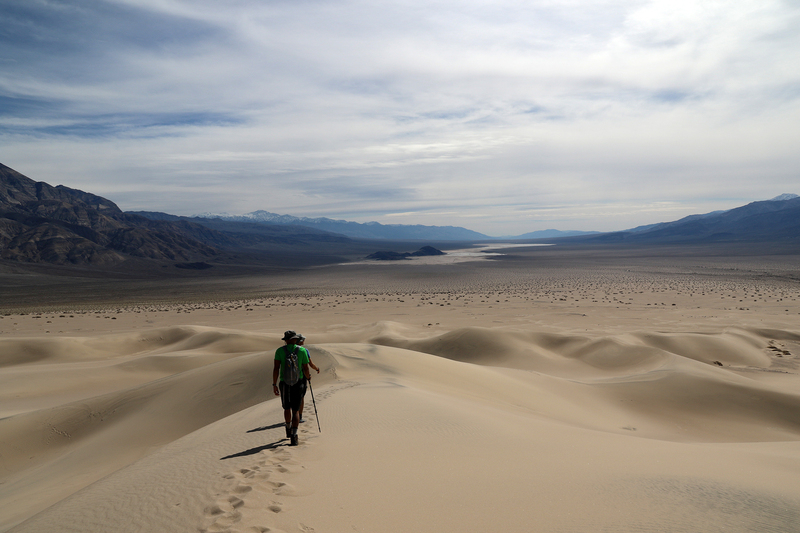 For all its justifiably famous desert, Death Valley National Park is a landscape of staggering topographical relief. From Badwater Basin, 282 feet below sea level and the lowest point in North America, it is less than twenty miles as the raven flies to Telescope Peak, at 11,043 feet the highest point in the Panamint Range and in the Park. 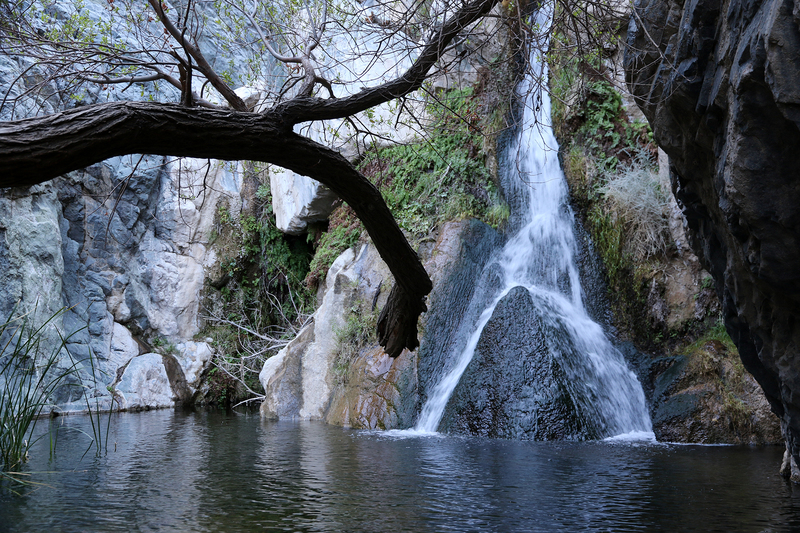 The Panamints and their companion ranges in the Park, including the Black Mountains and Grapevine Mountains of the Amargosa Range, are some of the 160 north-south trending ranges, which, along with the ninety valleys in between, comprise the Basin and Range Province. 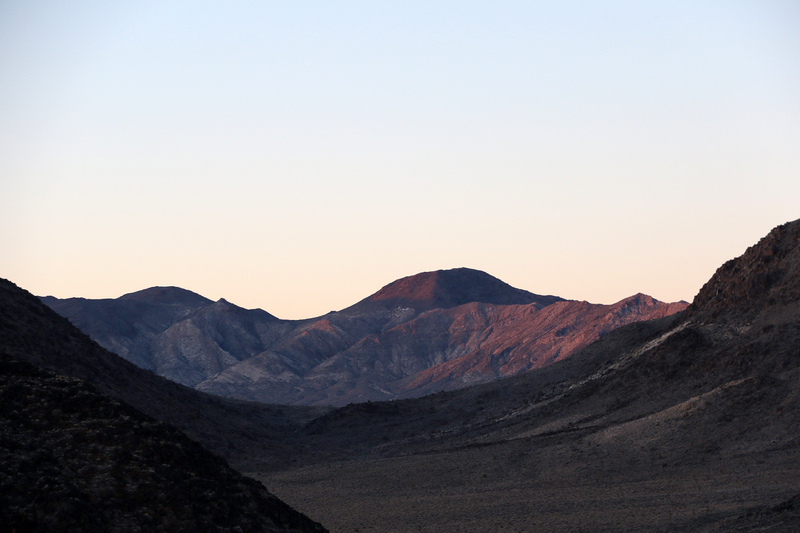 The rain shadow of the Sierra Nevada, the wind that sweeps off the slopes, the dry air that rises with each succeeding range and then is pushed into each valley by the wind, and the low elevation of Death Valley makes it the hottest and driest place in North America. The average temperature in July is 116 degrees. The record high is 134 degrees. This entry was posted in Journey and tagged California, Death Valley on October 31, 2017 by Brandon Hayes.